Cagayan de Oro today is not anymore the city I knew in the late ‘80s. So, I thought that I should go around and look for landmarks that reminded me of the past. 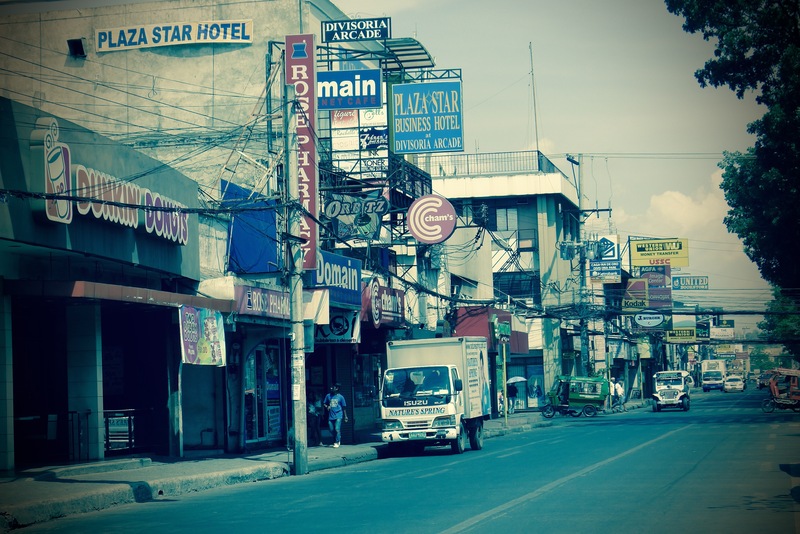 In the ‘80s, Plaza Divisoria was the centre of the city. It was the place where people would usually meet and congregate. Also called the “Golden Friendship Park,” it looked like a big divider at the centre of a wide street. History had it that in 1902, the plaza was built as a breach, after a fire nearly burned the whole city. 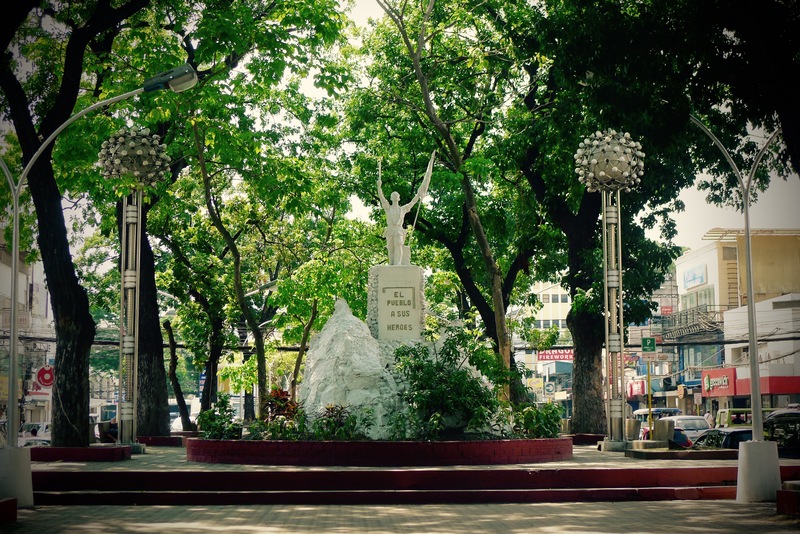 Plaza Divisoria had two stages for protests or performances, and it paid tribute to National Heroes Dr. Jose Rizal and Andres Bonifacio, or political leaders such as former Mayor Justiniano Borja, President Diosdado Macapagal, and President Ramon Magsaysay to whom the obelisk was dedicated. 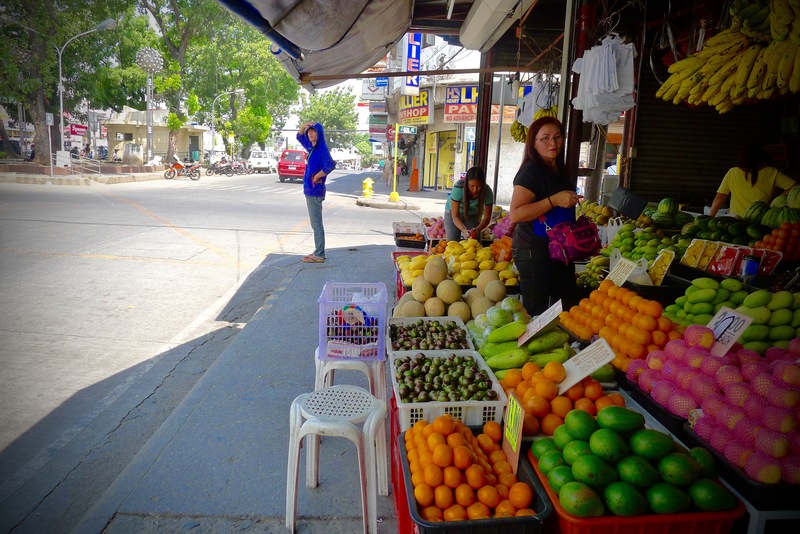 There was a huge fruit stand where a sign once stood, welcoming visitors to the City of Golden Friendship. This is Plaza Divisoria now. And this is the fruit stand. When I returned to Cagayan de Oro City in 1995-1997 as a Jesuit regent, Dunkin Donuts had put up its first store in the city. It was close to Xavier University, so it soon became the Starbucks of the ‘90s. Many students would reference Dunkin’ as the fab place to be. And with coffee and donut in tow, as the place to study and to be seen. Everybody knew where Dunkin was, because Divisoria was the strip to go to in Cagayan de Oro. 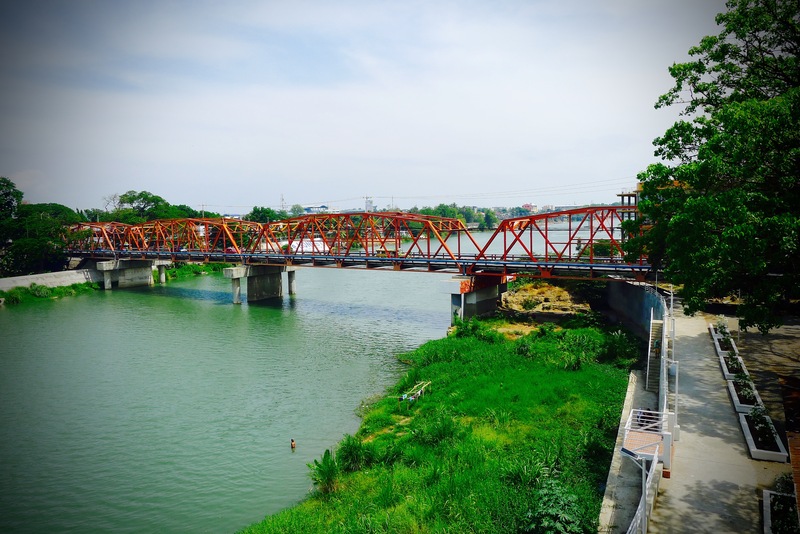 Cagayan de Oro was not devoid of places with great food. But in the ‘90s, there was no Candy’s nor Breadtalk; there were Gaisano and Limketkai malls, but they were modest; there were no SM and Ayala malls. But we had Dear Manok, famous for its affordable and tasty barbecue chicken. Dear Manok was a favorite of Muslims because it served Halal food. 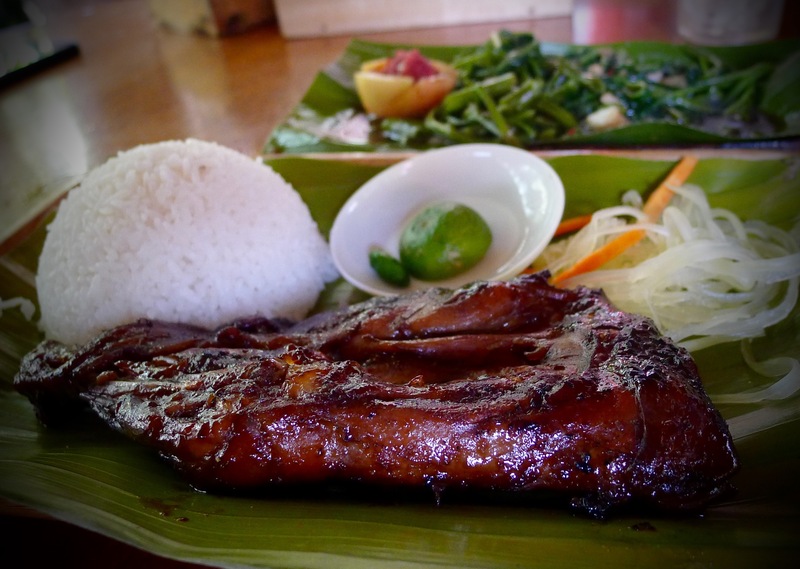 Dear Manok is the iconic CDO version of Jo’s Inato of Dumaguete, or Mang Inasal of Iloilo. Here is the barbecue chicken today, priced only at P95.00 with unlimited rice. You can imagine the price a decade ago. There were two centres of faith and worship. 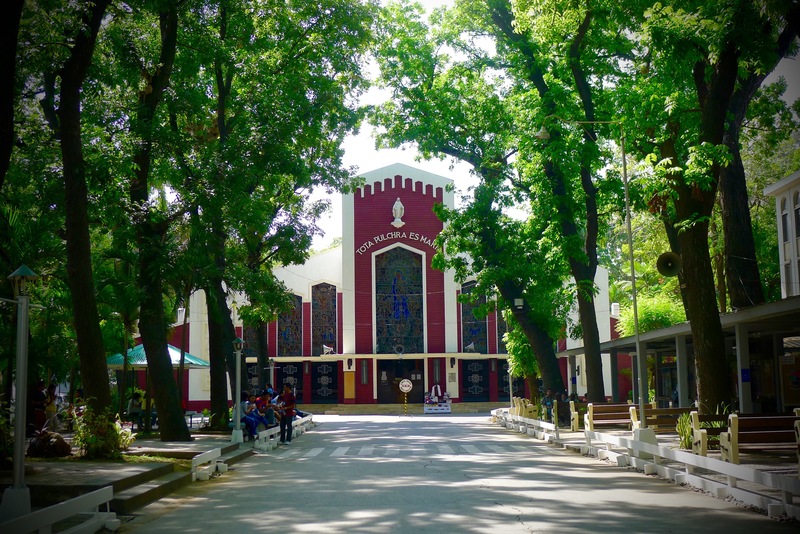 First, the Church of the Immaculate Concepcion strengthened the faith of those raised in Xavier University, Ateneo de Cagayan. It could not be missed because it stood at the centre of the university. Students, teachers, and visitors would visit the church everyday that the habit became a culture. Second, the St. Augustine Cathedral and its convent went through a series of destruction and reconstruction. Built in 1624 by Fray Agustin San Pedro, OAR, the structures were destroyed by soldiers of Sultan Qudrat, by the Manobos in 1649, by fire in 1778 and 1831, and by World War II. But they were all rebuilt by Fray San Pedro OAR, Fray Pedro de Sta. Barbara OAR in 1780, the friar priests In 1841 with Mayor Don Jose Corrales. 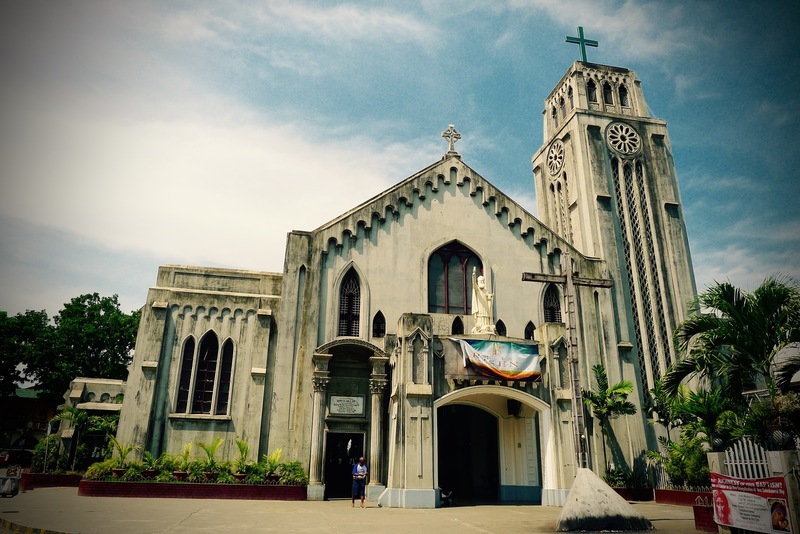 On January 20, 1933, Cagayan de Oro was raised to a Diocese and the church was elevated to a Cathedral. After World War II, Archbishop James Hayes, SJ, DD began to rebuild the church and the convent in 1946. The edifice was completed in 1949. So, here’s the Cathedral of St. Augustine today. Salamat kaayo sa imong comment dinhi. Of course, I remember you sa 3E, but I forgot what your nickname was, kay tawag sa imo sa XUHS ay Igot (by family name). I’ll be back in XU-CDO, so I’ll be very happy if we could have coffee: my treat. After all, gapangita na ko sa akong mga estudyante. Please keep in touch always.